I think one of the first conversations that Doug and I had when we started dating was "where are we going for our first big trip?" It didn't take us long to decide on Spain- he'd never been and I'd only visited Barcelona. 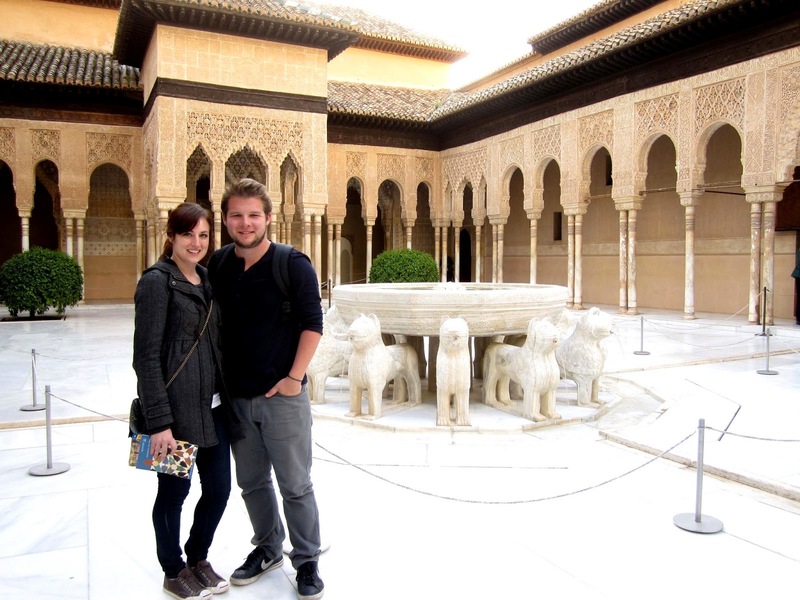 We decided to spend 16 days there, stopping in Barcelona, Madrid, Sevilla, and Granada with day trips to Toledo, Segovia, and Cordoba (see our full itinerary below). 1) Buy Rick Steves' book. His guide was an invaluable resource when it came to both planning our trip and exploring and eating while we were there. 2) Airbnb is awesome. 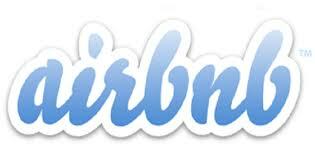 As travelers on a budget, we basically had two choices for lodging: hostels or Airbnb. We chose Airbnb for our nights in Barcelona, Sevilla, and Granada and could not have been more happy with that decision. Yes, there were a few funky things here and there, like lots and lots of stairs and a slightly confusing building (were we staying in a real estate office or what? ), but for the most part, great locations and our own bathrooms and kitchens made it worth it. 3) Restaurant service is much different. In Spain, servers are there to take your order, bring your food, and give you your check. And that's about it. They're not there to make you feel comfortable or check in with you, and you're certainly not getting your bill until you manage to flag someone down with a "la cuenta, por favor." This definitely took some getting used to for us. 4) Take advantage of the Renfe train system. We used Renfe for all our city-to-city travels. It was reliable, fast, and relatively cheap. Plus, as Doug pointed out, Renfe trains kind of have a Darkwing Duck thing going on. 5) Spaniards are serious about siesta. I don't know why this was surprising to me since siesta is probably the first thing you learn about Spanish culture in elementary school, but for some reason I was thinking it was more of a cliche than an actual thing. But really, the smaller towns and even the larger cities to some extent do shut down from about 3-6pm. As Doug and I eventually learned, it makes a lot more sense to partake in this custom rather than wandering around trying to find something that's open. 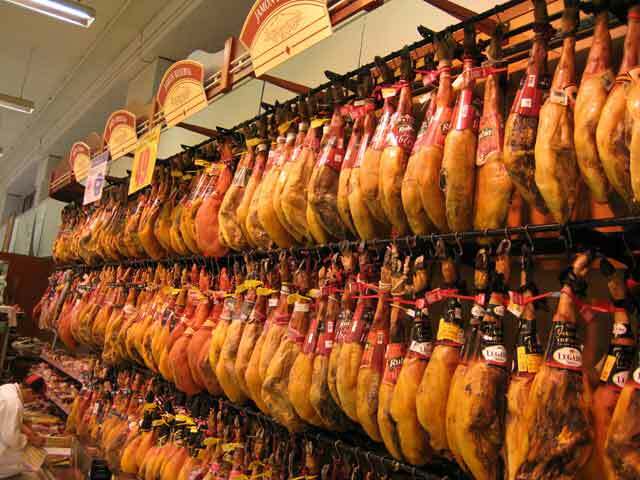 6) Jamon is everywhere. I thought people were joking when they told us to be prepared to eat a lot of jamon. But they weren't joking... and neither am I when I say I've had enough cured ham for quite some time. 7) Be prepared to stay out late. Another cliche that we saw in action time and time again was Spaniards's preference for eating dinner late and staying out even later. Most restaurants didn't get a good dinner crowd going until 9pm, at the very earliest. As far as going out, as we learned from Doug's Madrileña friend Ana, staying out until 3am on a weeknight is not at all unusual. 8) Beginner to intermediate Spanish will work just fine. This is may not be true in less touristy cities and towns, but a combination of our iffy Spanish and an abundance of English-speakers meant that we only had a few communication issues. Here's our itinerary for the trip. Doug and I agreed that it was pretty much perfect (good job, Doug!). The only change we would make is to not spend the night in Toledo and spend an extra night in Sevilla instead.